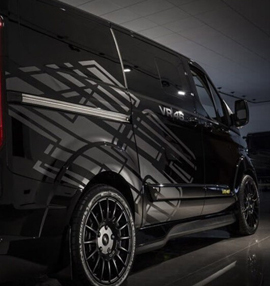 MS-RT is the collaboration of vehicle styling specialists Van-Sport and British motorsport legend, Malcolm Wilson's M-Sport. 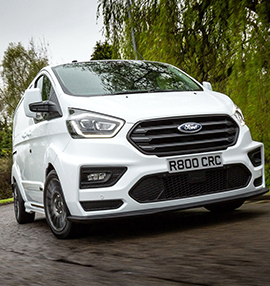 Together we have taken the exceptional mechanical basis of Ford Commercial vehicles and brought them into the spotlight. Owners of hard-working, tough and reliable work-horses can now own a hand-built, beautiful and stylised vehicle – all at an affordable price. 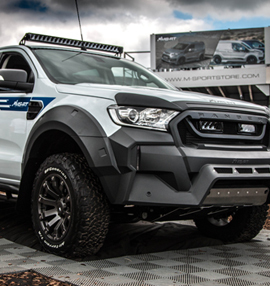 MS-RT Australia, based in Melbourne, is the sole Australian agent for the exclusive range of MS-RT Ford Ranger 4X4 and MS-RT Ford Transit Custom vehicles. 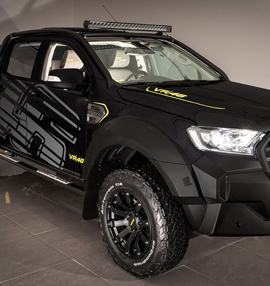 We are also delighted to make the Valentino Rossi VR|46 Ford Ranger 4X4 and the VR|46 Ford Transit Custom available to Australian and New Zealand motoring enthusiasts for the first time. Designed in-house by our expert automotive design staff and engineers, these exclusive limited edition vehicles promise to fulfill your automotive needs. With full Australian Design Regulation (ADR) approval, you can have confidence that our collection of vehicles meets the unique demands of our Australian conditions. Now we invite you to search our web site and familiarise yourself with the details of these magnificent vehicles. We welcome your enquiry via our Contact Page, email or call us directly. We take some of the best commercial vehicles in the world and give them a style lift. The result is a lifestyle vehicle that is as at home in the business world as it is on the weekend.